Although I am amazed with UAVs and their versatility, I must admit that having a flying camera zoom by – and zoom in on me – can be intimidating. Not because the drone has a camera, but because I don’t always know who is behind that camera. If the drone operator were immediately identifiable, however, I would have no problem. That is exactly the issue Fotokite tries to solve. The solution is a tethered, GoPro-fitted quadcopter with onboard algorithms that let it fly instantly and virtually under any conditions, without relying on piloting skills, GPS working or wifi failing. 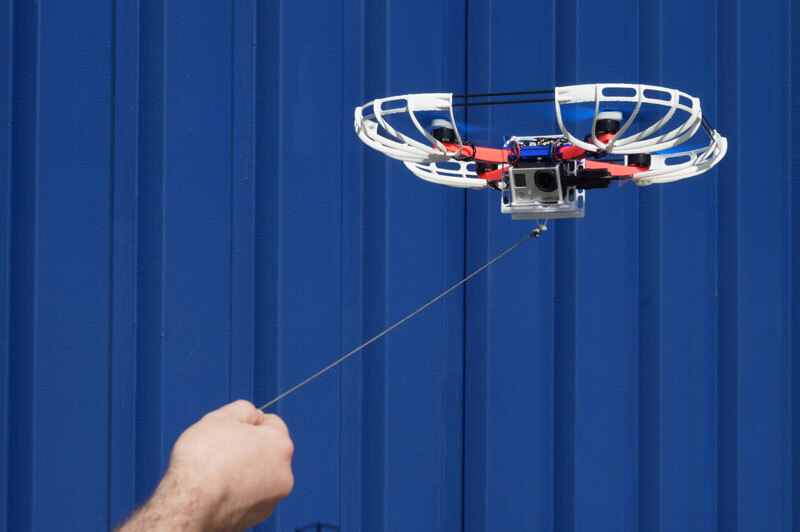 Fotokite is designed to be launched and fully operational in one minute. To the user, flying the camera is as simple as holding a kite, and framing the picture is as easy as rotating your hand-held monitor. The tether provides visual accountability for bystanders and property owners. The man behind the project, Sergei Lupashin, is a TED Fellow with 10+ years of autonomous systems experience and has assembled an impressive team that includes robotics heavy-weight Raffaello D’Andrea as an advisor. The project is supported by the Swiss National Centre of Competence for Research in Robotics (NCCR), which is also a supporter of the Flying Donkey Challenge. Already there are several concepts that enable a drone to autonomously follow and film a moving object (AirDog and Hexo+). 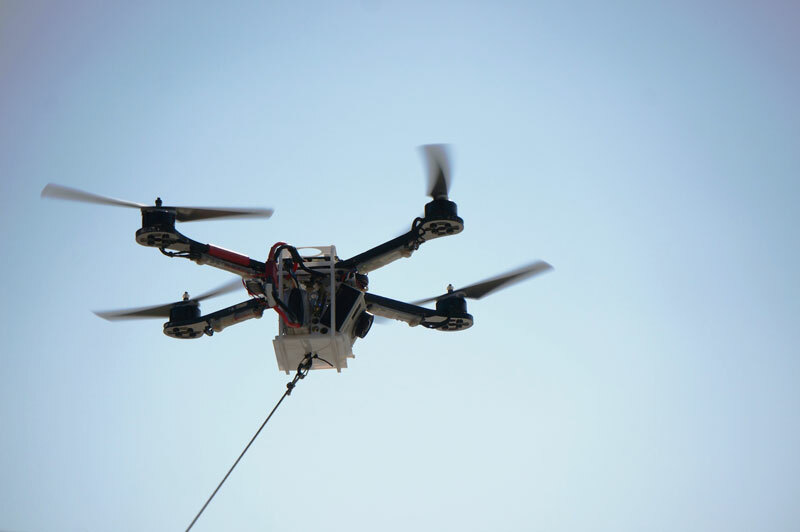 However, the Fotokite seems particularly well suited for use in media, to provide birds-eye view while allowing those around the device to immediately identify the camera operator. Though its price is still unknown, it seems like a cool tool that will surely be added to many reporters’ inventory one day soon. Video and image courtesy of Fotokite.